Mary Katherine "Merricat" Blackwood and her elder sister Constance live alone in their ancestral home with their crippled uncle after the tragic murder of both of their parents, their aunt, and their younger brother. Having been accused and later acquitted of the murders, Constance confines herself to the grounds of their home, while Merricat contends with their hostile neighbors and with the ever-increasing sense of impending danger she feels is heading their way. 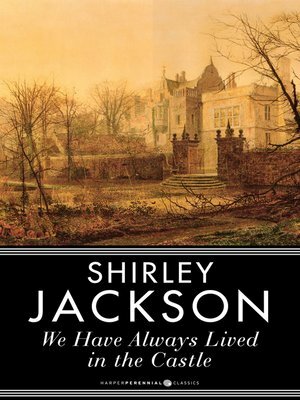 In We Have Always Lived in the Castle, author Shirley Jackson deftly handles delicate subjects like mental illness, agoraphobia, and social isolation. We Have Always Lived in the Castle was Jackson's final novel, and has been held in high critical esteem since its publication in 1962.